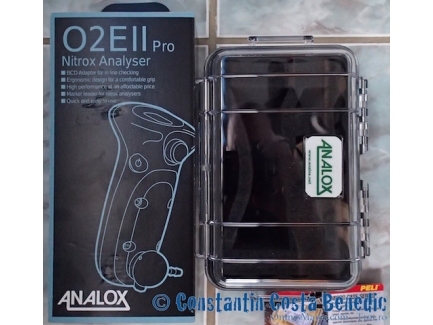 Analizor portabil de oxigen Analox O2EII Pro + cutie protectoare de transport Pelican. 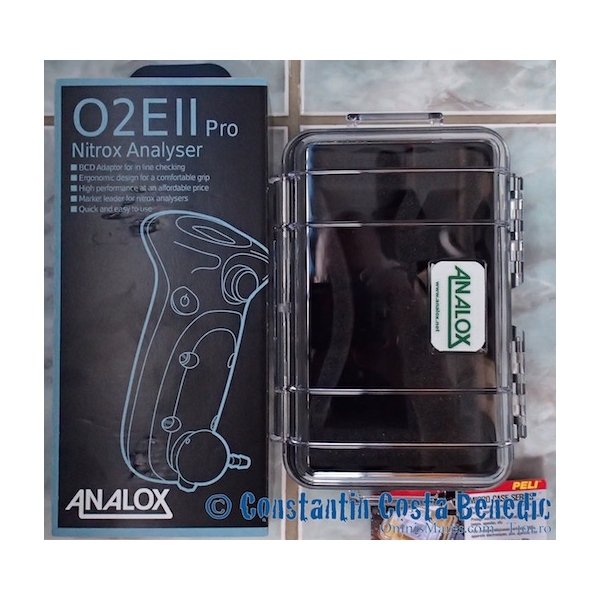 The O2EII Pro nitrox analyzer comes with the following additions: Hose Barb New packaging New colour theme The addition of the Hose Barb now allows the unit to be used while checking air quality at the tank or while the user is connected to their first stage regulator (via their BCD's low-pressure inflator). The O2EII Pro is a highly accurate device and a must have for any scuba diver, the unit comes with a 3 year graded sensor warranty and has an expected sensor life of 4 to 5 years in air. Pelican box: for a safe transportation and protection of the Analox analyzer and sensor! Pelican este un simbol al calitatii si durabilitatii, produsul fiind virtual indestructibil. Obligatoriu in dotarea oricarui scafandru recreational pentru amestecurile de gaze cu aer imbogatit cu oxigen.